Everyone knows earbuds, those cheap, tinny sounding throwaways included with almost every mp3 player. So then, it may come as a surprise that earbuds are making a comeback and not in the way that you might think. While there are many brilliant earbuds that can be had for just a few dollars, the renowned VE Monk+ probably being the best example, a newfound market for premium earbuds has recently opened up. With the vast majority of these premium earbuds being produced by small Chinese vendors, the $90 USD E1008 from 1More represents a much more premium experience in addition to a more mature sound. Given the immense response towards the 1More triple driver hybrid, it was surprising to see that its non-isolating brother, the E1008, had almost no online reviews in English. Hooked by the earbud’s exquisite design and 1More’s venerable reputation with budget earphones, I personally purchased a set to compare to what is perhaps, the most widely recommended earbud out there and my personal favourite, the Shozy Cygnus. Let’s find out if the E1008 is the premium earbud experience we’ve all been waiting for. The E1008 makes a strong first impression through its outstanding unboxing worthy of notable mention. The embossed box magnetically latches open revealing the earbuds surrounded by vectors of the design process and a statement of 1More’s production ethos. Underneath lies the accessories all within their own labelled boxes that effectively satisfy my inner OCD. 1More provide the user with a well-sized pleather carry case, a nice brushed metal shirt clip and airplane adapter and a comprehensive set of covers with various sound properties and functions. The E1008 comes with a set of silicone covers pre-order installed though an extra set of rings, 2 pairs of foam sponge covers and 3 Bose-style wing covers are also included. The wing covers do provide a bit more stability and the foams are of the denser, plusher variety though I did prefer the sound of the E1008’s with the stock silicone rings. Overall, the unboxing and accessory suite are exemplary for an earbud, most of which tend to come with no packaging at all. The similarly priced Shozy Cygnus came with only a case and the equipped donut foams making the 1More earbud seem thoroughly royal by comparison. From a glance, the E1008 has an absolutely gorgeous design. To my eye it’s a more attractive offering than 1More’s triple driver in-ear though both clearly share the same design language. Not only do they boast a fully aluminium housing, they are also very intricately styled and designed. This is a far cry from the standard plastic housings seen on essentially every other earbud besides the MRZ Tomahawk and Ting. The E1008’s are also incredibly well built, all components are well joined without seam and the housings possess an incredibly solid feel in the hand. The satin purple and bronze gold finish could easily become gaudy, but 1More’s wise choice of colours produces a very refined looking product. In terms of fitment, the E1008 sits loosely within the outer ear producing minimal seal and therefore essentially nonexistent noise isolation. As such, they are not ideal in any kind noisy environment but are great for library and home usage, allowing the user to remain aware of their surroundings. Sound leakage will be noticeable if you are a very high volume listener though they still leak considerably less than most over-ear headphones. They are also great for people who are sensitive to pressure within the ear, a lot of users choose earbuds over in-ears for this very reason. They employ a similar fit to the MRZ Tomahawk in that their design purposefully limits insertion depth and seal to create a more open/airy sound. However, where the sharp stems of the Tomahawk produced considerable comfort issues, the universally smoother styled E1008 almost disappears in the ear. While they do protrude a little too much for comfortable use when sleeping, in general wear around the house, they were supremely comfortable. The ear pieces have a notably small diameter, they are actually more compact in the ear than the Shozy Cygnus, which is itself a very small earbud. As a result, they don’t have the greatest stability in the ear and are easily moved by even slight cable nudges which can alter the sound on one side, throwing the whole presentation of the sound out of whack. The Cygnus has a deeper fit and was also designed for usage with foams that increase tactility in the ear and provide a more consistent fitment. Of course, 1More have considered this issue and included three pairs of silicone covers that have different sized ear hooks. They fit similarly to those winged Bose tips and function to increase fit stability. Unfortunately, in my usage, the ear hooks were a little uncomfortable and produced slightly more seal which ironically reduced the quality of the sound; the high-end sound too closed off and they diminished soundstage space/separation. Regardless, at least the silicone covers stay put better than the regular foams used by other earphones that have a tendency to loosen up and fall off over time. They also don’t tear or wear out and are easily washed. The cable is great in some areas and just average in other regards though I would still consider the Shozy Cygnus and Stardust to have the best cables equipped on an earbud. Starting from the earpieces, 1More have utilised a similar cable to that employed on Sony’s headphones with a parallel ridging running all the way down to the y-split. This does actually help to avoid tangles and the 1More’s straighten out well after being jammed inside a pocket. Unfortunately, the cable is rubbery in texture, a little thin and has absolutely no strain-relief, quite a shame on such an expensive earbud (though the Cygnus doesn’t have any strain-relief either). A remote/mic combo is outfit on the right side, which also allows the user to easily differentiate right from left since both earpieces are symmetrical. The remote is actually quite brilliant in that all 3 buttons function on both IOS and Android, I haven’t run into many earphones that implement this feature but it’s certainly very practical. The aluminium buttons are well separated through metal ridges on the centre button, they have nice feedback and match the rest of the earbuds in quality. Moving down, the E1008 has a nice machined aluminium y-split with minimal but appreciable strain-relief. Below is a Kevlar covered cable that is actually surprisingly compliant and smooth. It’s also of pleasing thickness and terminates in with a low-profile right-angle plug. The plug is textured for easy removal, gold-plated and very well-relieved from stress. In contrast, the Cygnus has quite a DIY look with that straight Oyaide jack and heat shrink strain relief so while the cable itself is much suppler, the terminations are not as well implemented as the 1More earbud. With a very unique driver setup consisting of a dynamic driver complimented by a multi-layer ceramic tweeter, the E1008’s produce quite an unorthodox sound. That being said, they remain relatively balanced, are surprisingly refined and are easy to enjoy nonetheless. From first listen, I can definitely tell that 1More have put a lot of thought into this sound and has considered the type of people who buy earbuds to begin with, they capitalise on the strengths of their very open form factor and avoid the over-brightness that tends to affect most earbuds. While the tonality may actually be a little dark for most, the quality of the sound is exceptional and after some adjustment, the tonality can be better appreciated. The E1008 is a slightly mid-forward earphone with a darker tonal tilt. It has a full-bodied midrange flanked by a leaner bass response and a smooth, relaxed high-end. Clarity is not the E1008’s strongest asset though they maintain a surprising amount of resolution despite having such a dark sound. The Cygnus is immediately the more engaging, perhaps even more coherent sounding earbud, though it is also less separated and the high-end rolls off sooner (with stock foam covers). It also has considerably less bass resolution. The E1008’s have an incredible soundstage, even for an earbud, though it does take some adjustment since earbuds present space completely differently to iems. Where earphones tend to have a hard “limit” to space, earbuds rather gently fade out into the environment. Listening to David Bowie’s “Starman”, each note dissipates smoothly outwards with a much more natural sense of space than traditional sealing earphones. The E1008’s also reproduced Stevie Wonder’s “Cherie Amour” with holographic imaging and exorbitant levels of space and separation between instruments. Despite this, the E1008’s never sounded diffuse and vocals were strongly centred. The Cygnus is more constrained with quite an intimate presentation for an earbud perhaps due to its deeper fitment. It images almost as well as the E1008 and separation isn’t too much of a concern on either the 1More or Shozy bud even though they both have a darker tone. Regardless of the space and separation advantages of the E1008, I would perhaps give a nod to the Cygnus for more complex songs due to its less mid-forward sound; fans of faster genres such as rock will likely prefer the more aggressive, v-shaped Cygnus than the more forward E1008. Overall, those attuned with open back headphones will no doubt find the E1008 a great portable alternative for use in quiet areas or when an amplifier/dedicated source isn’t readily available. Those coming from sealed earbuds will also notice an immediate improvement in space and separation, the E1008 exemplifies the term “open”. With a 32ohm impedance and 102Db sensitivity rating, the E1008 is not particularly sensitive but still doesn’t require an amplifier so long as you have a source of moderate quality. They are somewhat source sensitive, sounding a little too closed-off from some of my poorer sources but scale really well with dedicated gear. They are considerably less sensitive than the Cygnus but also don’t pick up nearly as much hiss. They pair well with slightly clearer sounding sources, in my case, the Oppo HA-2, HTC 10 and iPod Touch 6G all served the earbuds well. My iPod Nano 7G and Hidizs AP60 were lacking a little power and sounded a little darker though both were far ahead of my laptop’s internal sound card. For the sake of this review, I will have the E1008’s and Cygnus running from my HA-2 and HTC 10. The E1008 does bass very well for an earbud; I previously considered the Cygnus to be the best performer I had heard around this price though the E1008 might just edge it out in overall quality (before taking into account personal tonal preferences). Tonally, bass isn’t accentuated but is neutral, tight and textured. As with most higher-end earbuds, the E1008’s do manage to reproduce some sub-bass even without a solid seal. It is soft, but has the sensation of moving air without hitting with any substantial slam. They definitely have less sub-bass extension than the Cygnus which employs a deeper, better sealing fitment, but overall, the E1008 resolves a nice amount of texture and fullness in tracks that call for it. The low-end does have a slight lower-bass focus as opposed to the Cygnus which is a little warmer due to its more mid/upper-bass focus. 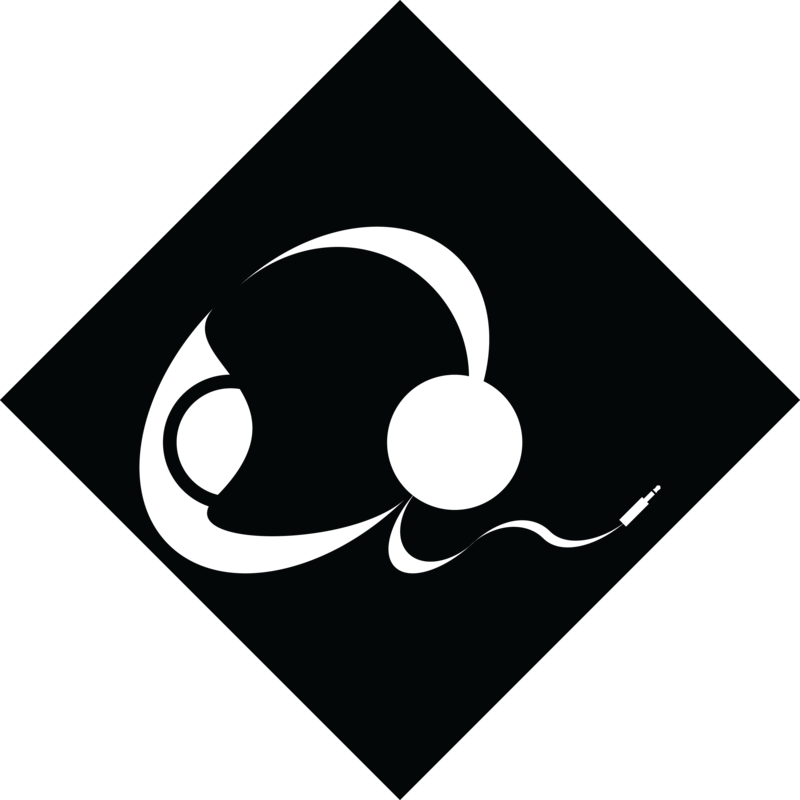 The very organic Cygnus has more bass quantity overall, mainly mid-bass and upper-bass though it remains similarly textured. Despite this, the more linear E1008 has considerably more bass resolution, resolving increased detail in the low notes, especially on faster-paced tracks. Listening to George Michael’s “Faith – Remastered” and both earbuds provided a tactile bass response with great texture and rhythm but the E1008’s had quicker bass decay and clearer definition to each note. The Cygnus, on the other hand, produced noticeably more slam and depth to each note without substantial quality sacrifice compared to the 1More earbud. While it does ultimately come down to preference, and I’m sure many will choose the bassier Cygnus, the E1008 does have a clean, clear low-end. It does make for an incredibly satisfying listen, they thrive off genres like Jazz and even slower hip-hop though they may lack deep bass presence for rock and electronic genres. The midrange is slightly dark, smooth and laid-back but still a little more tonally balanced than the Cygnus overall. The E1008 can sound dry at times, but vocals and instruments are quite full-bodied and can even encroach upon lush. They do lack clarity throughout the midrange resulting in some veil across both male and female vocals though instruments tend to sound quite accurate. After some adjustment, the actual quality of the midrange is pleasing though those who prefer a more aggressive sound should still err towards the Shozy Cygnus. Ironically, when listening to some contemporary pop, the darker Cygnus produced clearer female vocals with considerably more clarity and less veil. On the flipside, the E1008 provided clearer male vocals and more balance throughout its midrange, the Cygnus was slightly too warm making male vocals sound slightly thick to my ear and female vocals sounded a little recessed. The E1008 can sound slightly unnatural in its midrange due to the nature of this tuning, and though the sound is smooth the Cygnus has a more natural tone and timbre. Booting up “Another Day of Sun” from the soundtrack of La La Land and the E1008 produced delicate vocals with plenty of resolution and a very clean background. Both male and female vocals on the Cygnus sounded a little warmer and more composed within the more complex passages but also more recessed and a little cloudier overall. It’s been very difficult for me to analyse the midrange on the E1008 since it has such unorthodox qualities. Resolution is good but clarity is not and as a result, they can sound both clearer and muddier than the Cygnus, it really depends on the track. For vocal based genres the E1008 is actually quite a nice choice (if you don’t mind the slight veil); again, jazz, ballads, alternative rock and the generally brighter Asian genres of music are all really nicely presented. The more v-shaped Cygnus tends to boost up the instruments a bit more though it does have more clarity and more aggressive detailing making it the better choice for modern pop, electronic and rock. That unique tweeter driver definitely produces some interesting results and a different kind of presentation. And treble does sound quite interesting, due to the large soundstage, notes can come off as distant or rolled-off, but after more extended listening that is clearly not the case. While treble is on the smoother, more laid-back side of things, high-notes are well detailed and actually slightly more revealing than the Cygnus at the very top. High-frequency sounds are really well separated from the rest of the midrange, I would insinuate that the E1008 may not be the best integrated dual driver earphone I’ve heard, but it does enhance the sound in many ways, namely soundstage and detailing. Extension is quite good but the highest notes are still rolled off; the E1008 has a slightly thin reproduction of high-hats but the darker Cygnus can gloss over these very high details. On the flipside, the Cygnus has a more resolving and aggressively detailed middle and especially lower treble response that grants it with a more engaging, sparkly sound. The E1008 sounds a little more refined perhaps and also more naturally detailed; they possess crispness up top and cymbals have plenty of texturing and body but details don’t pop or shimmer like the Cygnus. Overall, where most darker earphones tend to have a slightly more aggressive treble response to provide some additional insight into the sound, the E1008 instead persists with this smoother, laid-back tone all the way through. They are almost as resolving as the Cygnus overall due to their superior extension (though more extension can be obtained by removing the foams, they become overly lean) but carry vastly different tuning. Earbuds definitely present sound very differently from iems, that much is certain. I do feel that these products are still maturing; manufacturers have provided some brilliant in-ear offerings at affordable prices but earbuds are still a relatively new market containing manufacturers with much more limited experience. While all earbuds sound spacious with a natural soundstage, many have issues with tuning and manufacturers struggle to adjust to the variability of fitment between different people since they form no reliable nor consistent seal. The E1008 is, to my knowledge, the first premium earbud we’ve received from a large manufacturer and, like the HA-2 from Oppo, it is a true pioneer in build and finish. That being said, I still think 1More has some refining to do with their tuning. The quality is there, resolution and texturing are notably impressive, and the unique driver setup does provide some interesting results, but the unorthodox midrange and overly laid-back high-end will limit buyers. The Cygnus mostly matches the E1008 on quality but does so with infinitely more accessible tuning all within a more stable form factor. It lacks the million dollar build of the 1More, the ethereal soundstage and also any kind of opulent packaging, accessories or smartphone features, but it does make up for it with an extremely rewarding analogue sound and supremely comfortable fit. But at the end of the day and when not in direct comparison to the exemplary Cygnus, the E1008 isn’t a bad earbud, not by a long shot. Its tuning makes it ideal for slower, more relaxed genres yet it maintains nice rhythm with faster genres too. The remote and build both make them ideal for smartphone usage and the overall package offered here is no doubt impressive, I’ll be excited to see what 1More produces in the future. Overall – 7.5/10, The 1More E1008’s laid back yet resolving sound is great for more passive listening and their universal remote really enhances usability and convenience. Their build and accessory quite is class leading and their sound quality is well considered for the asking price. Buyers accustomed to more laid-back sounds, maybe from lower-end Klipsch or Bose products, will find new levels of balance and insight within this earbud while maintaining the same kind of tone while lovers of a smooth, relaxing sound will find relish in the sound these earbuds can produce. For everyone else, the Cygnus is a better bet. The E1008 is currently available from Penonaudio (International) for $90 USD, please see my affiliate link for the most updated pricing and availability. I have a set of Shozy BKs incoming… Are these radically different? Yeah, quite different, the 1More is much more mellow and fit isn’t as stable in the ear.